Nu-FLAC® is a hypoallergenic plating substrate for flavors and colors. Nu-FLAC is non-GMO and organic. 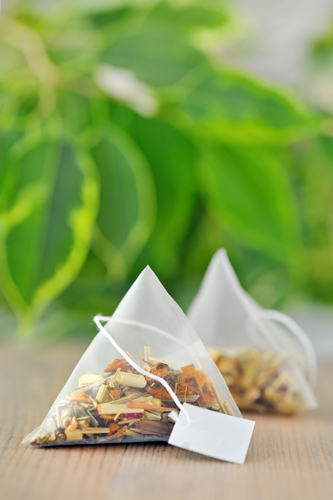 Our Nu-Flac product carries flavor enhancement in dry beverages, teas, salad dressings and other visible particulate products. Its all-natural, hypo-allergenic properties bring functionality, clean-labeling and cost effective benefits to leading food and beverage companies. Q. What is it made from? A. Rice hulls or rice husks, the outer most layer of a grain of rice. It contains high levels of naturally occurring silica. A. Light tan. Most spices and powders have some color. Q. Does it have an odor/taste? A. Limited to no odor and a neutral taste. Q. How much silica does it contain? A. About 70% fiber and 18-20% silica. The fiber absorbs oil and moisture, then the silica provides the anti-caking/flow. Q. What is the particle size? A. The product is patent pending. A. Both types are available, it is US and EU certified organic. A. A flavor carrier in virtually many systems, foods, and dietary supplements. The fiber absorbs oil and moisture, then the silica provides the free flow characteristics. Q. Can this product replace maltodextrin or salt? A. Yes in many systems. Nu-FLAC is NOT soluble in water, so in systems where it will be used with solids, it works well (ie. flavor carrier for snacks, meat marinades, tablets/capsules). In many systems it has demonstrated a much higher flavor capacity than maltodextrin or salt, because the carrier is insoluble. Q. Can I use it as a fiber source? A. Yes, but at low use rates in most flavor carrier applications, it may not provide the claim you desire. Q. What are some of the more unique applications? A. Turning liquid or paste flavors into powder with only a ribbon blender (no drying required). Liquid soy sauce into powder, fruit puree into granules or powder, vinegar carrier for salt & vinegar flavored potato chips. Q. What is the load capacity for this ingredient? Water based flavors 20-40% load is typical, maximum has been with soy sauce at 200%. PG based flavors 20-40% load is typical. Q. How does the Nu-FLAC work? A. The fiber absorbs oil and moisture, then the silica provides free flow characteristics. Plate the flavors onto the carrier to achieve the desired load and flow ability. After 2-3 days upon equilibration, the flow will be even better. Q. How do I formulate with this ingredient? A. RIBUS is happy to work with you, your co-packer or your flavor supplier on the use of Nu-FLAC to replace maltodextrin, salt or other carriers.